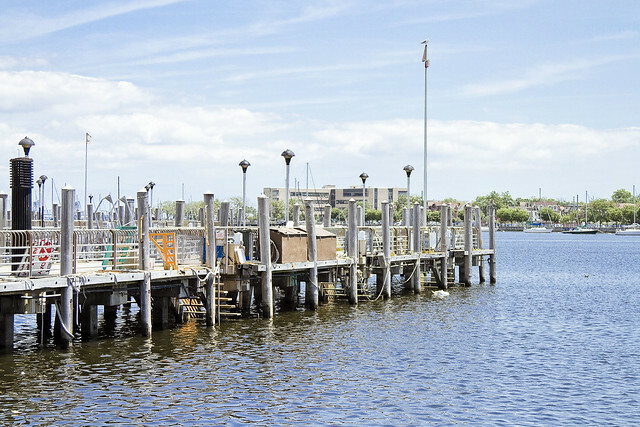 Finishing up a trip to Sheepshead Bay, in today’s post. 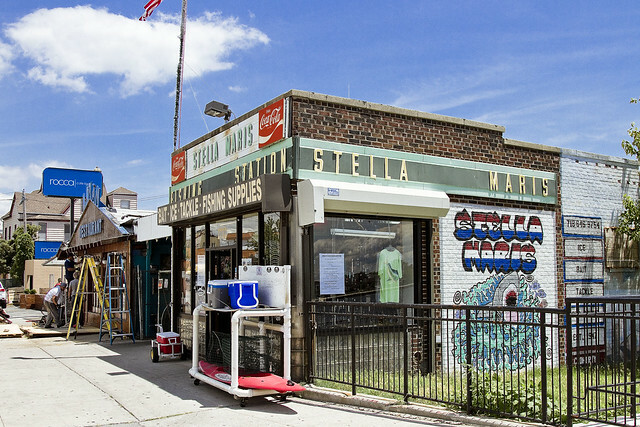 Last week, I told you a bit about the NY Aquarium, and finding Nemo in Brighton Beach. 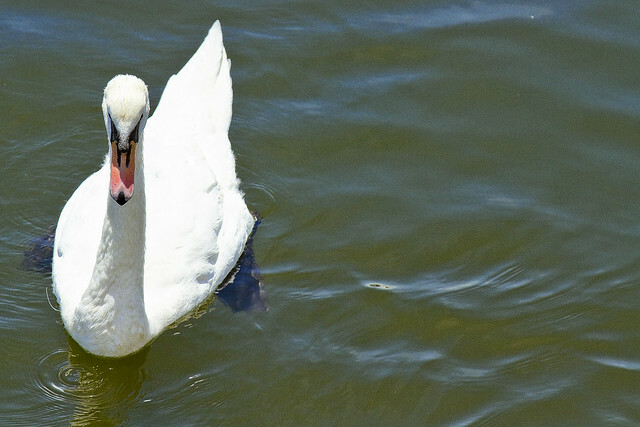 Yesterday, it was a Holocaust Memorial, the Ocean Avenue footbridge, and an infestation of what I believe to be the mute swans in Sheepshead Bay. Today, we finish out my south east Brooklyn excursion and end with lunch at one of the old school businesses which has somehow survived the changing culture and real estate dynamics of Brooklyn. 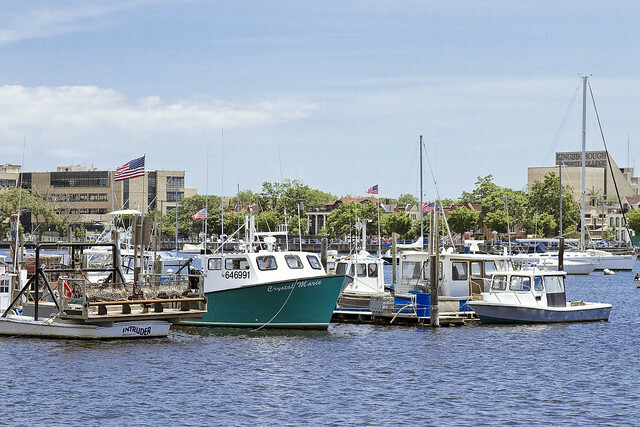 Sheepshead Bay has both a marina for small vessels and a series of Parks Dept. administered commercial piers along Emmons Avenue. There’s a plethora of fishing boats and pleasure craft on display at the marina. Pictured above is the Atlantis excursion boat. Atlantis is technically a luxury yacht, designed for “functions,” and is spacious enough to serve a sit down dinner to 240 people or accommodate 319 for a party. 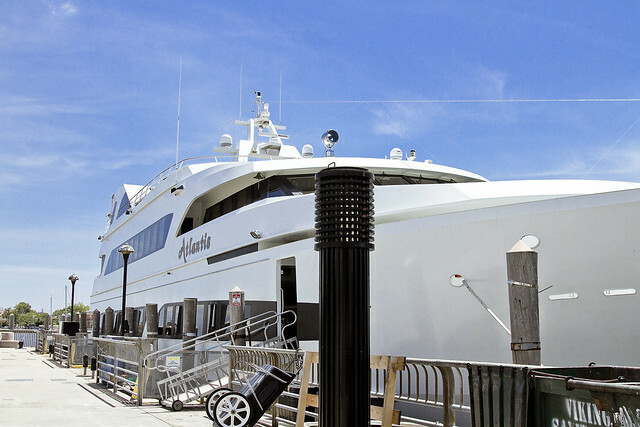 She’s got a 32′ beam, is 147 feet long, and apparently there’s a jacuzzi with a lighted fountain onboard. She’s owned by an operation called “Amberjack” which has a flagship vessel that’s pretty huge and is docked right next door. These piers really seemed to be in great shape, and boy oh boy could we use this sort of shoreline tackle on the East River. 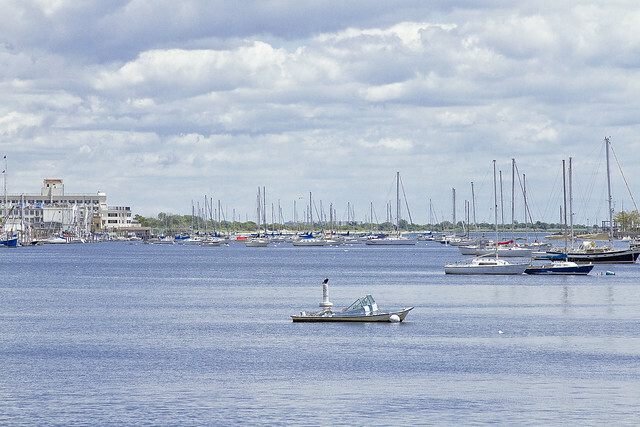 Towards the other side of Sheepshead Bay’s fleet spectrum, that’s Capt. Midnight pictured above. 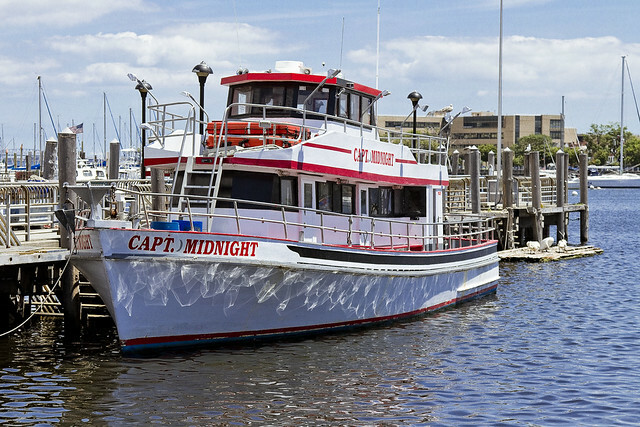 She’s a 75 foot long fishing boat that can accommodate 63 guests. The western tip of the marina is visble from Emmons Avenue, and you can see what I mean about it being a pretty heterogenous collection of vessels. Pictured above is a bait shop which has been in this spot since I was a very young kid, nearly a half century ago. 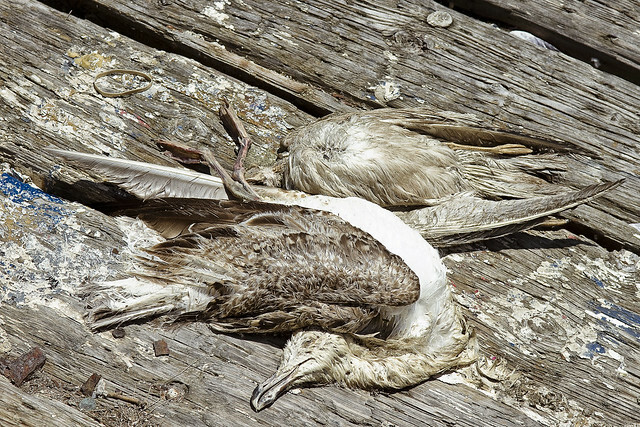 I spotted a pile of dead birds, which made for a nice picture, but a humble narrator was desperately in need of some luncheon and a cold drink at this point in time. Dead birds weren’t going to cut it. 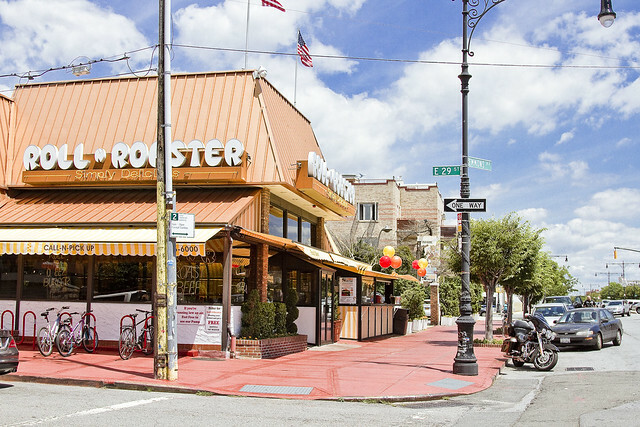 Roll N Roaster is still there, at the corner of Emmons and East 29th, just where I left it. 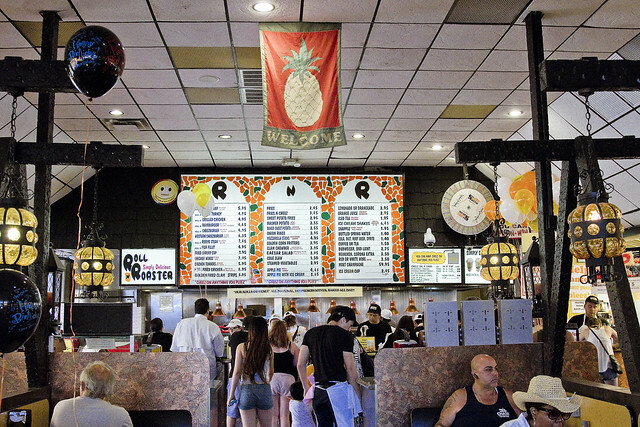 And inside of RnR, nothing has changed since the 1980’s, except for the prices. 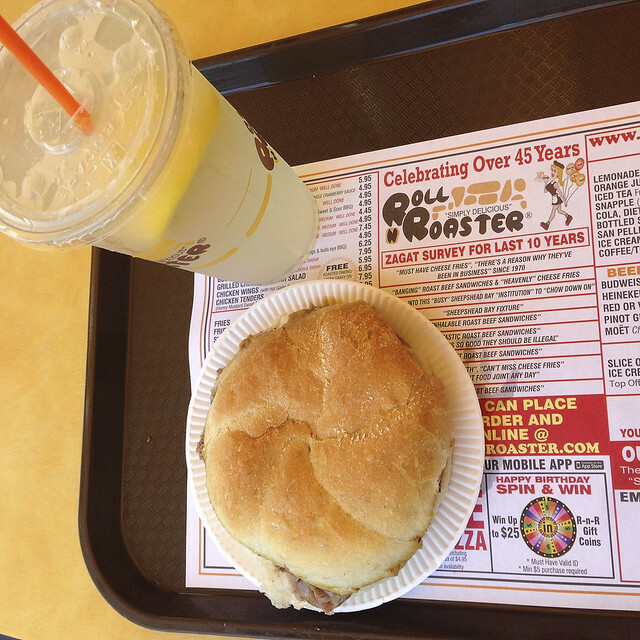 I went with the lemonade, and the roast beef “as jus” sandwich. If you have the opportunity, get the above. If it’s wintertime, get the cheese fries as well. Fried potatoes just don’t go with the summer heat, IMHO. 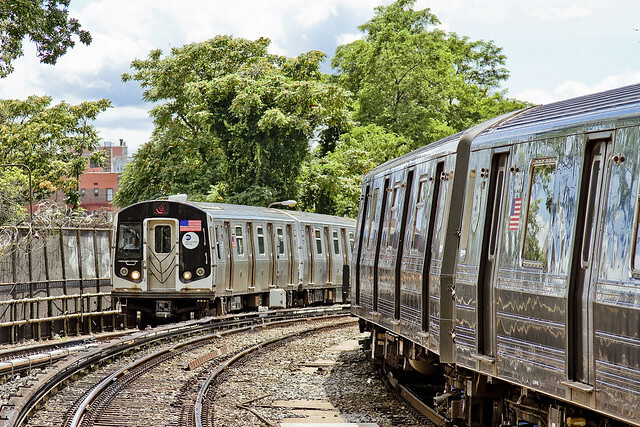 A short scuttle carried me over to Sheepshead Bay road, and the elevated tracks which carry the Q and B lines through the neighborhood. Around 45 minutes later, there I was, back in Astoria.